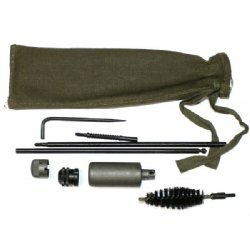 Original Czech made VZ58 cleaning and tool kit. Includes everything pictured: Oiler, cleaning rod, brush, jag, muzzle cover/bore guide, punch and blank firing adapter. Conditions range from surplus good to very-good and all are in perfect working order.